David Le/Gloucester Daily Times. 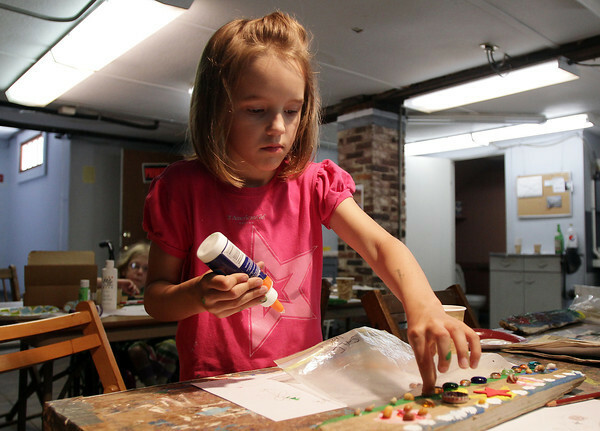 Helen Ives, 7, of Brookline, firmly glues a marble to her art board at Rockport Art Association's Garden Sculpture workshop on Tuesday. 7/12/11.